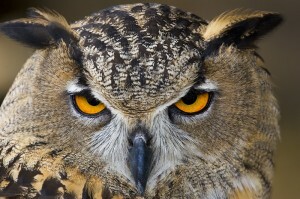 You are here: Home » Featured » Who Gives a Hoot About the 1%? Before they decamped for winter, the Occupy Wall Street folks were promoting the idea of redistributing wealth from the rich to the poor. Although the income of super-rich in America has soared in the last two decades, such a blueprint would achieve neither justice nor economic growth. America has always been a land where creative talents and high achievers like Bill Gates or Steve Jobs are admired rather than envied. Their dedication to hard work and their financial success benefits everyone. On the other hand, there is no question that the recession that began four years ago has hurt the middle class and created more poverty. In addition, the economic crisis revealed the presence of a burgeoning American underclass. Recent statistics should be a wakeup call. They show that 30% of all children are poor and a third of all Americans are living at or slightly above the poverty level. These unwelcome numbers are the key reason why Occupy Wall Street’s catchphrase “we are the 99%” is relevant and has become part of our national discussion. No doubt millions of Americans are getting on fabulously and there are still numerous lucrative opportunities. Nonetheless, for centuries the backbone of the United States was always the middle class – a group which suddenly is shrinking dramatically. Many citizens are dismayed and pessimistic about the future. Some are starting to believe that democracy is mostly a buzzword – used by politicians and the national media but having no practical meaning. For years surveys have reported that over half of eligible Americans don’t bother to vote. Of those who do, the number of independent voters is now greater than members of either party. Since the 2008 election, important populist and anti-establishment movements have attracted millions of mainstream Americans. First, the Tea Party, whose members are angry over rising government debt and tax burdens and now, among younger people, there is the Occupy movement. If we listen closely we hear voices who contend we are living in a dysfunctional “winner take all’ society – a place where a privileged elite – nicknamed the 1% – comprises a ruling class or oligarchy. Writing in the website, Front Porch Republic, Emil Kramer claims our nation is starting to resemble a modern Sparta –managed by a dominant clique who can pull the strings from behind the scenes. He contends that America is now an oligarchy where – as Plato noted in the Republic – “there is not one state but two, one of the very wealthy, and one of everyone else.” Our widely beloved constitutional tradition in America has apparently suffered a sea change. The oligarchs who dominate the two parties tolerate much individual freedom, but it’s a brand of “freedom” not unlike that recently on display in post-Soviet Russia – where voters recently ‘elected’ Vladimir Putin for a third term. All the while, the American power elite appears to have led us into bankruptcy and is searching for the ideal fiddle player to serenade the masses while the nation plunges to new depths. In the recent past, America has had periodic downturns but then quickly recovered, but as in the 1930’s, this current economic slump is obviously a different animal. As the dust settles, it’s becoming clear that the last 3 decades were wrongly characterized as broad-based prosperity. Unlike the economy of the fifties and sixties which benefitted everyone, the recent rise in income never trickled down. While the income of the wealthiest 5% rose over 200% during the 1980-2008 period, total earnings stagnated for the lowest 60% – the majority of all Americans. It has been even worse for an average worker whose inflation adjusted wage has actually declined despite soaring productivity gains for corporations. Such a wide disparity between the very rich and the less well-off is greater than at any time since the Great Depression. In addition, statistics show that of all the new jobs created after the 2009 recession, less than a 20% pay enough to support a two child family. It seems hard to deny that our national agenda is driven by special interests and lobbies – persons whose objectives have little or nothing to offer the average voter. Examples of our present predicament are easy to uncover. Similarly, while such generous treatment is offered to the financial royalty, Joe Six-pack and his ilk– the average Americans, are trapped in a cycle called the “race to the bottom.” The whole process feels like several rounds of shock therapy. For decades, industrial jobs which pay a family wage have been drying up; over 6 million vanished in the 2000-2010 decade. As a result, millions of working people have been demoted into so called McJobs – low paid non-union service work in the retail sector with few or no benefits. In addition, the competition from 12 million or more illegal migrants is whipsawing the lowest paid workers by taking away entry level jobs, lowering wages and raising unemployment. Labor organizations, which played a seminal role in creating a middle class during most of the 20th century, have come under ferocious attack. The result is a repressive and hostile environment for a large segment of the American workforce. The prudent wisdom of the American social contract has been torn into shreds – an injustice which is also contrary to over a century of Catholic social teaching, beginning with the encyclical Rerum Novarum in 1893. Unfortunately, it is entirely true that the violent tactics and rampant corruption within many of the most powerful unions and their leaders has contributed to the overall disrespect many Americans have regarding the labor movement. Once representing a third of private sector employees, union members now make up less than 7%. The need to remove corrupt leaders and continue reforms in union democracy is essential. The present close association of big labor with left-wing social issues and a lack of political independence is a big impediment to restoring union’s credibility. However, while it is essential to root out corruption, an enlightened and positive approach must mean strengthening labor rights and upholding the dignity of working people. What we have seen for more than an entire generation is quite the opposite. A climate has been created in which the largest corporations, their tax exempt foundations, and lobbyists have discredited the legitimate function of unions. A large segment of top American economists have long insisted that unions need to be crushed as they are a primary obstacle to a nation’s global competitiveness. At present, labor laws and protections are rarely enforced and the right to organize a union has all but disappeared. Politicians and corporate America have adopted an extreme free trade model which seeks to eliminate worker rights as outmoded relics of a bygone era. In a recent example, last year when dozens of states faced a temporary budget shortfall, public workers and unions were asked to sacrifice. Most accepted reasonable wage and benefit reductions. However, a group of state politicians decided to go much further. Several governors used the crisis to force through decrees that do away with all collective bargaining or ban public unions entirely – practices which opinion polls show are opposed by a wide majority of state voters. Finally, there is widespread dissatisfaction with America’s decade-long wars in the Mideast. Not only do the conflicts appear endless, they have already cost us between 1 ½ to 2 trillion dollars – money which is sorely needed at home when the U. S is enduring lean years of austerity and sacrifices. Despite the fact that the Cold War with the Soviets ended over twenty years ago, we are still spending more on U.S. defense than all the other nations combined! Spending is so exorbitant that even the Defense Secretary, Leon Panetta complained recently that Congress has appropriated billions for weapons systems which the Defense Department does not want or need. Evidence suggests that America’s Mideast policies have been a disaster, and have turned public opinion in the region even more anti-American. In the case of Afghanistan, the war was poorly planned and was conducted in fits and starts without a clear objective. Even worse, most scholars are now convinced the Iraq invasion was a tragic blunder which was sold to Americans based on evidence that was either fatally flawed or, to some, riddled with deliberate half-truths. Meanwhile the number of American families who have been devastated by the war escalates hour by hour. Since the wars began, the number of casualties has climbed to over 17, 000 Americans, of whom over 6,000 are dead. The injury and death toll of ordinary Arab citizens is also a terrible calamity. Ignoring the American public, the D. C. power elites routinely show their contempt of the Constitution and the rule of law. Top lawmakers of both parties have been hiding under their beds as one president after another brings us into questionable new theatres of combat. For example the most recent war in Libya, whatever its merits may be, was launched illegally – lacking even the fig leaf of necessary Congressional approval. We have been sold a fraudulent brand of American ‘exceptionalism’, which is more accurately labeled a new imperialism. Patriotic Americans are expected to endure a series of ill-conceived military adventures which have no connection to the defense of the country or even our vital national interests. Much like the imperialists of the past, our military interventionists tell us they have pure intentions, and are merely “making the world safe for democracy.” It is time we adopt the sensible approach, put forward by a spectrum of authors such as, Professor John Mearsheimer and former U. S. National Security Advisor Zbigniew Brzezinski. Such foreign policy ‘realists’ suggest dumping our failed embrace of Woodrow Wilson’s idealism. Instead, they favor the pragmatism and prudence of the founding fathers. Going forward, we must refrain from putting American soldiers in harm’s way except to defend the nation, while we respect the right of the people of foreign nations to care for and manage their own affairs. Unfortunately, no one knows when or where statesmen like Lincoln, Washington or even Reagan will be found. The prospects for reviving our national debate with ideas and policies that are morally sound and worthy of a great Constitutional republic appears to be decades away. Few present leaders seem to possess the wisdom and character necessary to lead. Instead, we are stuck with a multitude of wealthy tax exempt foundations. With a few exceptions, these think tanks, both right and left variety, are consumed with partisan factionalizing and petty bickering. They advise both houses of Congress and shape the national debate, promoting specious goals which have little regard for the national interest. In such a malaise, the United States is rapidly losing credibility in international forums. We face decades more of decline and the prospects of becoming a second or third rate power unless we find some genuine solutions that respect the rule of law and foster genuine democratic ideals.